Don't just see the word...feel it! 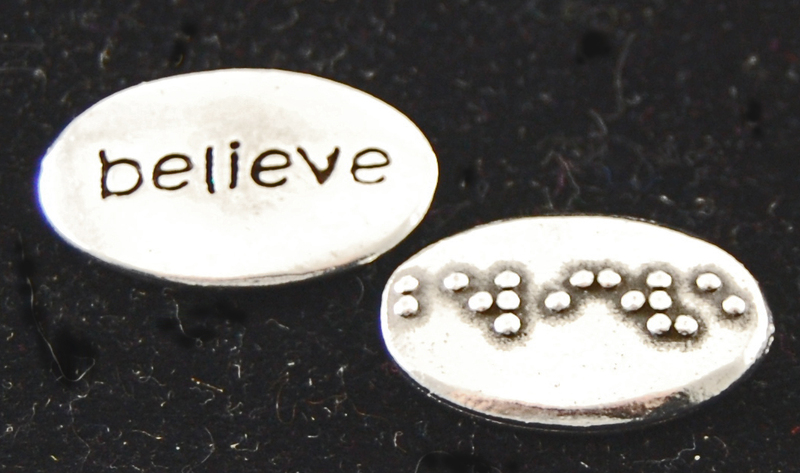 Word pebble has the word 'believe' on the front and the Braille version of the word on the reverse. Word pebbles are made of lead free pewter and measure approx. 1" x 1/2".